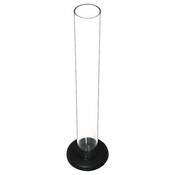 Home / Hydrometer Test Jar-10"
Plastic test jar, 10". 1 1/8" diameter with plastic base. Purchase Beer and Wine Hydrometer Test Jar-10"